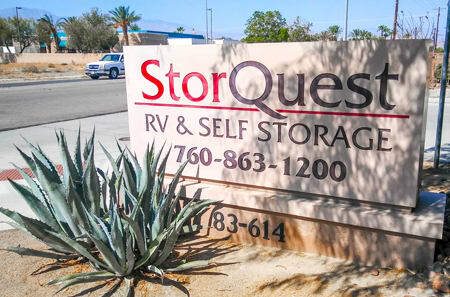 Located at Dr. Carreon Blvd and Calhoun St, StorQuest Self Storage in Indio, CA, is your one-stop shop for safe and convenient self storage options in Palm Springs, La Quinta, and other communities in the Coachella Valley. No matter your storage needs, our friendly and professional staff will gladly take the time to help you decide the perfect storage unit size for your belongings, and your budget. 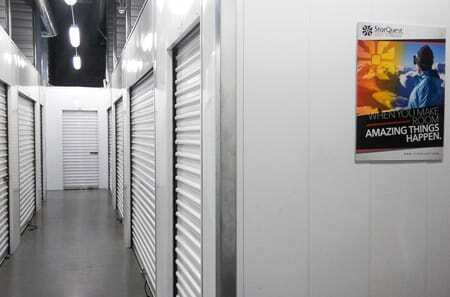 For those of you who are unsure as to what storage size you need, our sizes range from 5' x 10' (50 sq. 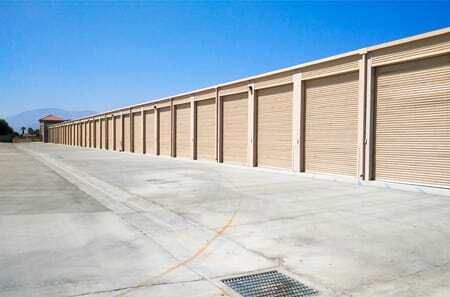 ft.) units which can hold the contents of a mid-size bedroom, to commercial storage unit sizes of over 300 sq. 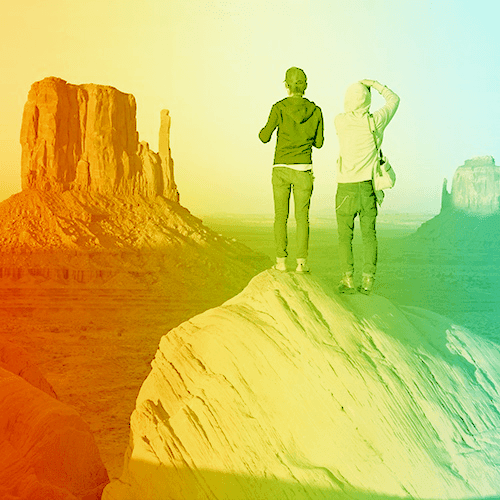 ft., which can fit anything from a commercial RV to a 7+ bedroom house! So whether you are cleaning out your garage for what seems like the very first time, helping a relative relocate, or simply need some extra closet space for your golf clubs and golf cart – we will help make your search for storage simple. 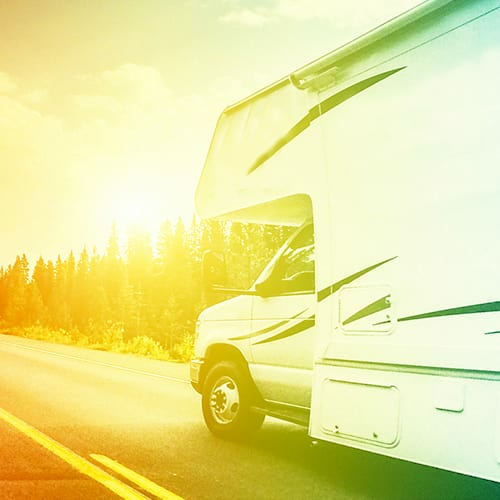 At StorQuest RV/Boat & Self Storage in Indio, we like to make moving easy; our facility’s large driveways and drive-up access units are suited for all vehicle sizes, which allows for easy transport of your items from your moving vehicle to your storage unit. 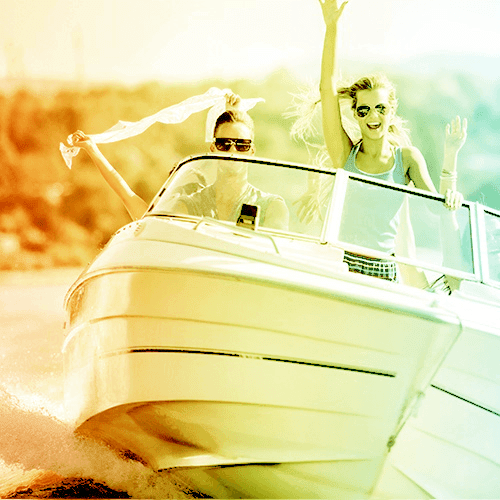 We have storage units for RVs, boats, and automobiles. If you need a truck to help you move, call about our truck & driver program offered to all new tenants who live within a 5 mile radius of the store. For those of you who are current tenants, we also offer U-Haul truck rentals for your convenience. 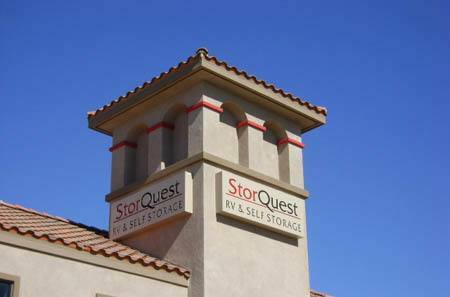 Our Indio self storage facility is monitored by 24-hour surveillance cameras, and our computer-coded gate access ensures that only StorQuest tenants with individual gate codes can enter the premises. 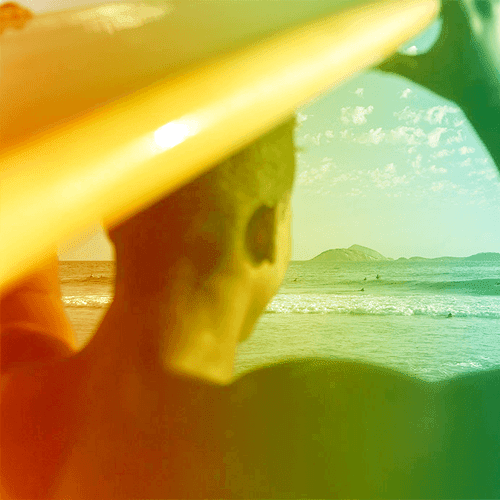 StorQuest has climate-controlled units available for rent, which are cooled in the summer and heated in the winter to protect your belongings from damage caused by extreme temperature swings. 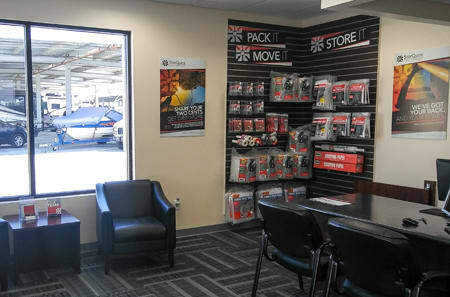 Our Indio RV/boat and self storage facility also has an on-site manager, which means that someone is on the premises at all times – even after office hours. 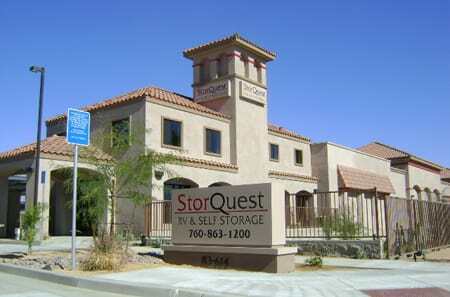 With access 365 days a year and month-to-month rentals, we aim to make storing at StorQuest as convenient as possible. Serving Indio, Palm Springs, Cathedral City, La Quinta, Coachella, Bermuda Dunes, and neighboring Coachella Valley communities.